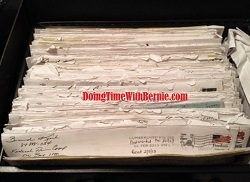 DoingTimeWithBernie.com: Bernard Kerik to Judge: Pretty Please? ...Awww, Come on, just a Peek! 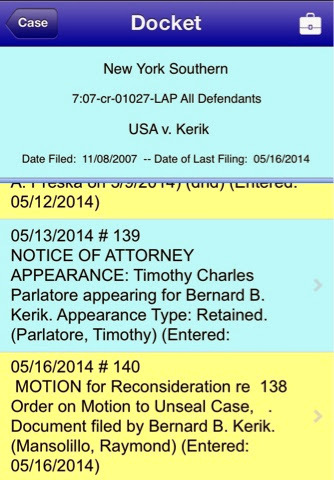 Bernard Kerik to Judge: Pretty Please? ...Awww, Come on, just a Peek! 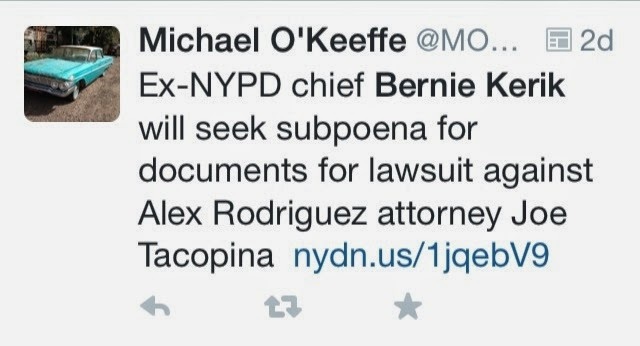 I read it in the New York Daily News sports section and from a boastful tweet by former co-defendant "reporter", Bernie's legal team was going to subpoena the government for the USA v Bernard Kerik sealed documents! Well, after all that puffery and "quienes más macho" crap, it appears a softer legal strategy prevailed. While unemployed felon Bernie was partying, Ummm, dining, Ummm, working, Ummm volunteering on another lame useless Washington D.C. "think tank panel" blaming Google and draconian laws for his felonies and lies, his lawyer, Ray Mansolillo, filed a very docile "Motion for Reconsideration". 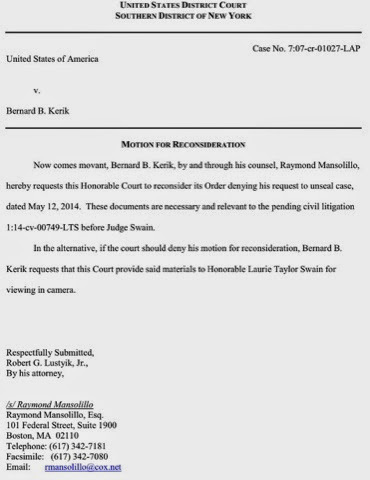 As an additional alternative, the motion suggests Kerik and legal team be able to "view the file in camera" with records in custody of Judge Swain.